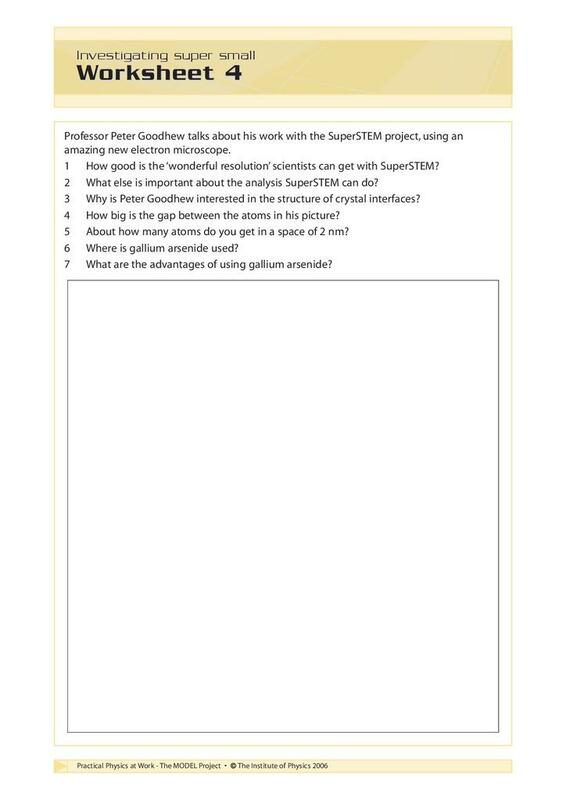 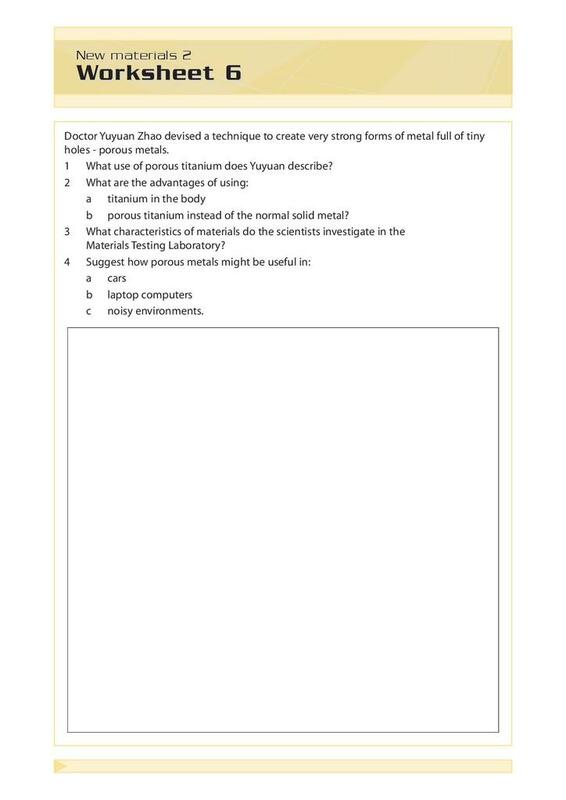 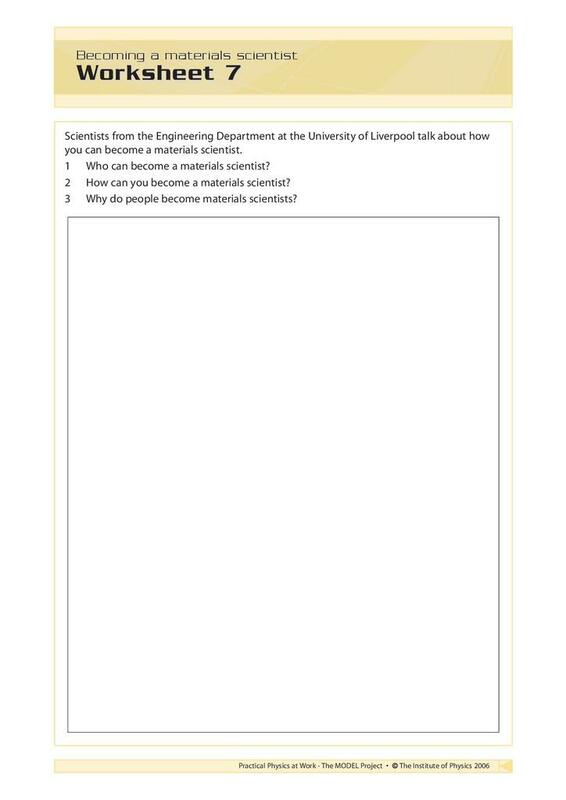 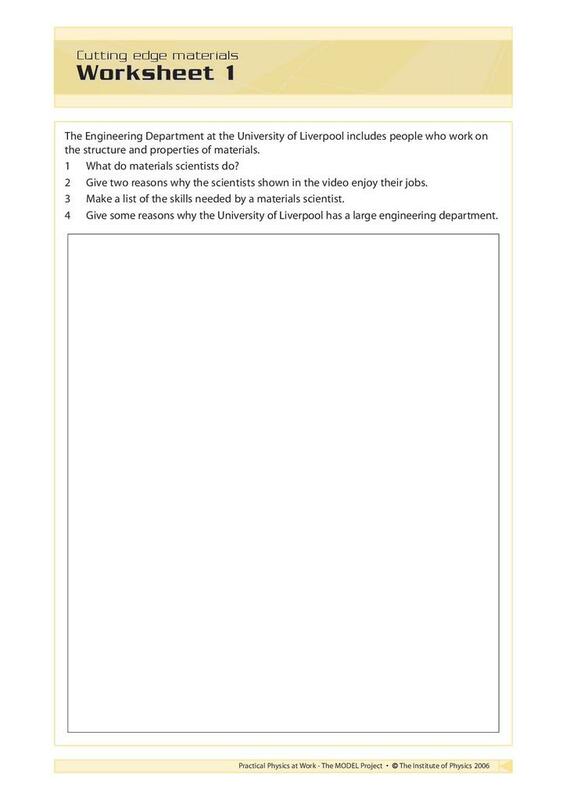 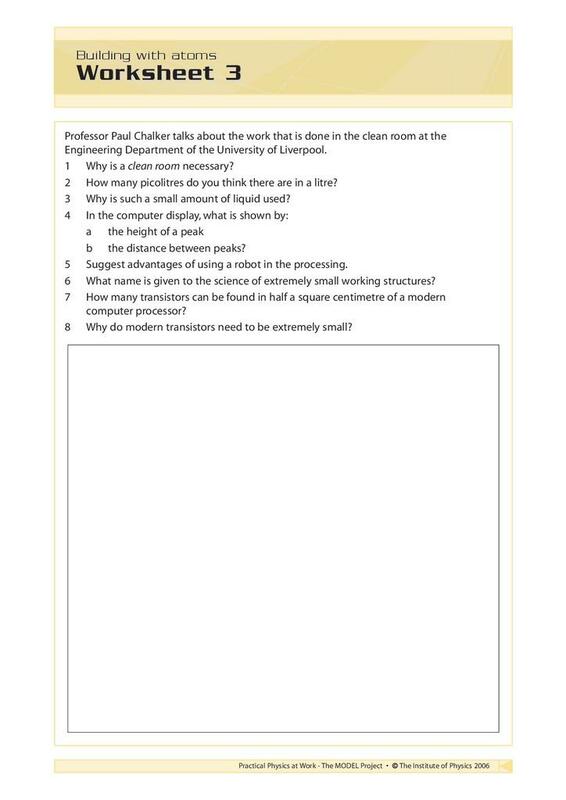 Seven activity sheets produced by the Institute of Physics (IOP) to accompany the MODEL Project's Cutting Edge Materials video. 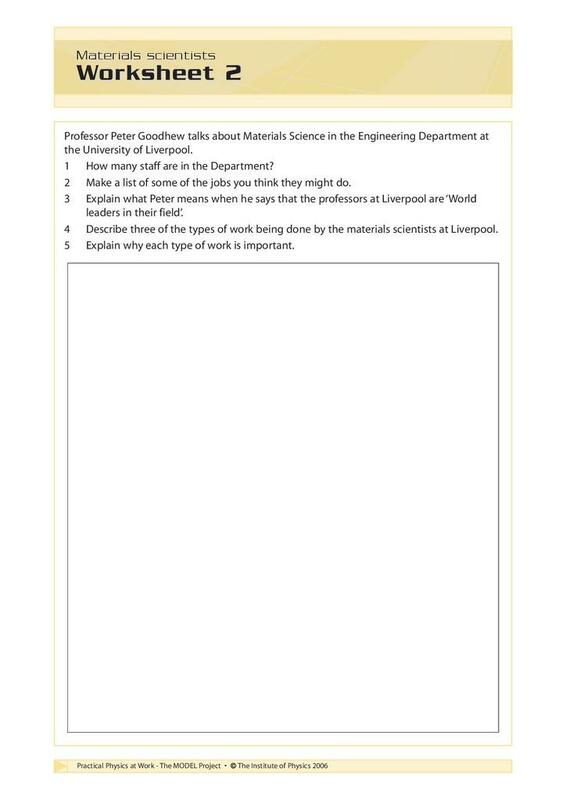 Worksheet one takes an overview of the topic. 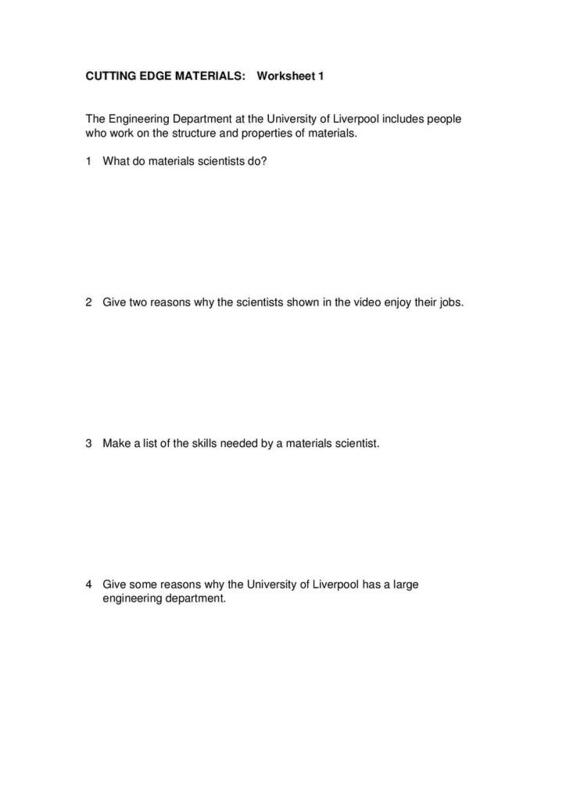 Worksheets two - seven are targeted at specific sections of the video. 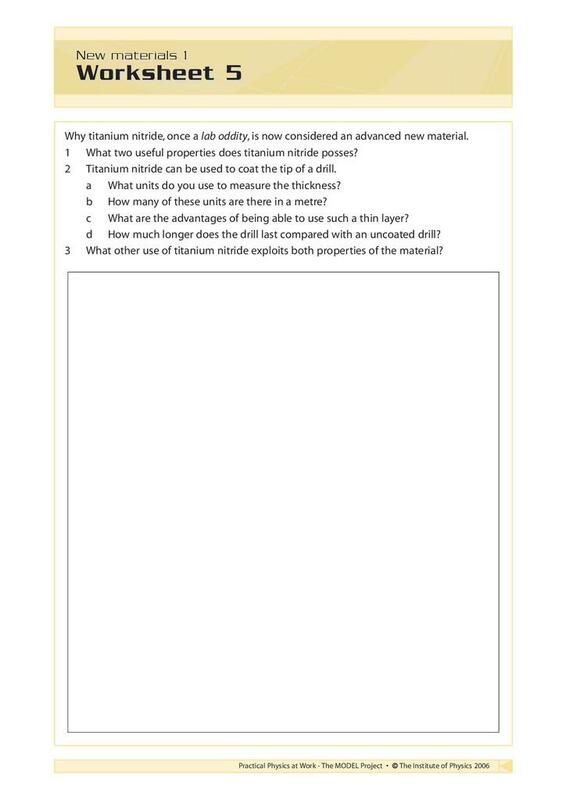 Answers to all the worksheet questions are provided in the Word document.